As a facility owner, you’re already an expert in the production or manufacturing processes you oversee — but what about all the regulations that apply to your facility? With so many other tasks and responsibilities requiring your attention on a daily basis, it’s easy to let preparing for an inspection fall down on your list of priorities. Plus, there’s often a fairly steep learning curve to understanding the complicated nature of regulations, making staying on top of the regular reporting demands and changes even more challenging. 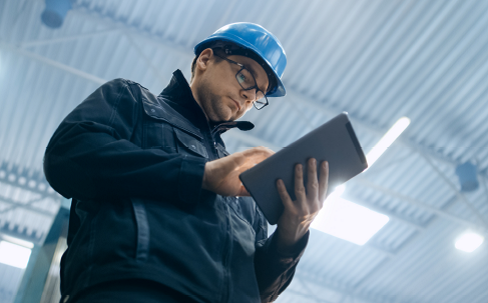 Unfortunately, by failing to make inspection preparation a priority, many facility owners are unknowingly putting their business at risk of costly violations, more frequent future inspections and, most importantly, potential safety hazards. Since eventually undergoing a government inspection is a foregone conclusion, how can you best determine what regulations apply to your facility and ensure you’re as prepared for an inspection as possible? First thing’s first: in order to know which regulations your facility needs to follow, you have to identify what agencies have jurisdiction over your facility — and for what purpose. For instance, there are different levels of regulatory agencies and the requirements they enforce vary from state to state. Federal agencies publish both federal regulations that you may need to comply with, as well as directives for lower level agencies to regulate and enforce. Next, there are state regulations, some of which are mandated by the federal government, but enforced on the state level. Depending on your location, you may also have county, town, or city regulations. For example, facilities located in New York City have specific New York City regulations. Now, this is where understanding exactly what regulations your facility needs to comply with becomes especially complicated. Your facility may be responsible to two different jurisdictions that require two slightly different regulations for the same action. Let’s say, for instance, that your facility in New York City is emitting an air pollutant. In order to be compliant, you need a permit from the city to emit the air pollutant — but that’s not all. You may also need a separate permit from the state. That means two separate permits, two separate forms, two separate rules, and two separate agencies to comply with. This same type of scenario can also arise when determining state building codes and state fire codes. Once you figure out which jurisdictions apply to your facility, then it’s time to research the specific rules and regulations of those jurisdictions. In order to ensure you are clear on what the regulation requires and how to put it into action in your facility, you need to be at least somewhat familiar with how to read regulations. Since the language can be complicated and confusing, this adds an extra challenge for some facility owners. And, unfortunately, this isn’t the only challenge you’ll face. Even once you’ve identified the specific rules and regulations your facility needs to follow, you may face the added challenge of determining the most recent, up-to-date version of those rules. Since regulatory agencies are constantly revising and changing rules, there may be a new element to the revised version that you aren’t aware now applies to your facility. This leads to a related challenge: keeping up with regulation changes. While most agencies put out documents and notices of rules updates, these aren’t always easy for facility managers to follow. For instance, the federal register puts out an index every day, which includes the current proposed rules and regulations for every federal agency. Individual agencies might put out their own regular updates; the New York State Department of Environmental Conservation (DEC) has a weekly environmental notice bulletin that publishes all new rules. In most cases, the information is out there — the challenge is knowing where to look and keeping up with unexpected updates. One of the biggest challenges to staying on top of government regulations and preparing for an inspection is this simple fact: ignorance is not an excuse. Not knowing that a certain rule applied to your facility or missing an important update does not absolve you of responsibility and will not keep your facility from receiving a violation. For example, the Occupational Safety and Health Administration (OSHA) has a regulation that if your facility uses a machine with an operator, you must have certain guards on the machine to ensure the operator is protected. It does not matter whether or not you are aware of this rule — if an inspector arrives at your facility and sees machinery without the proper guards, your facility will receive a violation. However, here’s the good news: you don’t have to figure this all out alone. Consultants have the background, knowledge, and resources to navigate the red tape of regulations and inspection preparation. A health and safety or environmental consultant can assist in determining exactly which rules and regulations your facility needs to comply with, as well as track agency changes to ensure you always have the most up-to-date information. In addition to seeking the help of a trained consultant, there are other ways you can make sure your facility is as prepared for an inspection as possible. We will discuss pre-planning strategies, what to do when an inspector shows up, post-inspection strategies, how to handle a violation, and the importance of record keeping. Stay tuned to learn Walden’s best tips for how to prepare for and survive an inspection.